This coming week, special Mother’s day shows have been planned with Mr. Morton in mind. Why? Because this is the kind of show you can bring your mother to! 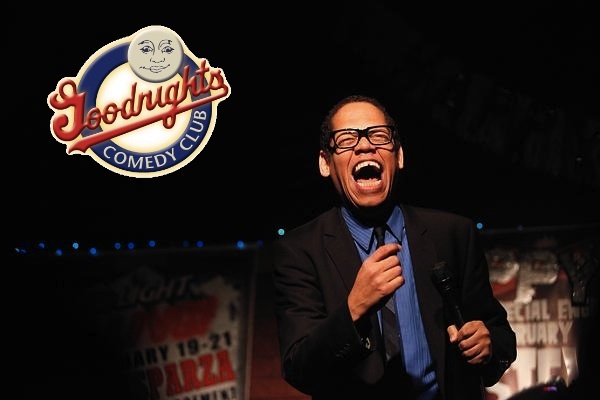 The show is PG 13 and one of the most entertaining shows you’ll see at Goodnight’s this year! There are also two restaurants on the premises where guests can enjoy a full dinner or a quick bite to eat before the show. The Grille at Goodnight’s is located one floor above the comedy club. The Grille is open before select shows, and the menu consists of classic American fare. The Old Bar is a casual restaurant located one floor below the comedy club, featuring burgers, salads, Tex Mex favorites, prime rib, a daily blue plate special and more. The Old Bar offers great food, music, and a wide variety of micro brews in a relaxed atmosphere. Guests who enjoy dinner before the show receive priority seating (assigned seating within the first three rows from the stage) in the comedy club. Sounds like great evening of good food and entertainment. May 10 – 13. Can’t wait! *Don’t forget to click the RSS Feed to subscribe to gregmorton.com. You’ll get all the latest news, with regular updates on tour dates. Be the first to know when Greg Morton is coming to your town!